Happy Chick is one of the popular emulator available for the iOS device. The Emulator works like NewGamePad emulator that offers supports for several gaming platforms instead of focusing on only one gaming platform. Happy Chick Emulator is indeed one of the well-designed emulators you can find for iPhone and iPad. The emulator comes with support for Game Boy Advance, Sega Mega Drive, Nintendo Entertainment System (NES), Nintendo 64 (N64), PlayStation 1 and Super Nintendo Entertainment System. The Happy Chick emulator comes with a simple to use user interface which is easy to navigate. It also comes with ROM selection feature that allows the users to download ROMs for their favourite games they wish to emulate. The Happy Chick Emulator is fully compatible with iOS 11 and also supports 64-bit architecture. If you are looking to download Happy Chick emulator for iOS or looking for Happy Chick Emulator IPA file, then you are at the right place. Want more emulators? read Download and Install GBA Delta Emulator on iOS for iPhone, iPad – No Jailbreak. 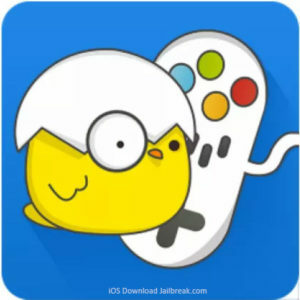 To be able to download Happy Chick emulator without jailbreak, you need the IPA file for the Happy Chick emulator. To begin with, download the IPA file from here. Now download Cydia Impactor. This tool allows you to install iOS apps IPA file on iPhone through PC. download Cydia Impactor for PC / Mac. Connect the iPhone/iPad to the PC or Mac and launch the Cydia impactor on PC. Wait for the Cydia impactor to detect the iOS device. Once detected, you can see the detected iPhone in the drop-down menu of Cydia Impactor. Make sure you select the iPhone from the drop-down menu. Now, drag and drop the Happy Chick Emulator IPA file to the Cydia Impactor. Click OK when you see the Apple Developer Warning. Enter your Apple ID details to proceed. You can also use secondary Apple ID if you don’t want to use your primary Apple ID login details. Cydia Impactor will prepare the IPA and install it on your device. Wait for it to install the app successfully as it may take a few minutes depending on your internet connection speed. You should see a success message if the Happy Chick IPA file is digitally signed and installed on your iPhone. Now you may see Happy Chick emulator icon on the home screen. However, you cannot launch it yet. You need to make the app profile trusted before being able to open the app. To do this, Go to Settings > General > Profile and Device Management. Find the Happy Chick certificate and tap on Trust button. Close the settings and disconnect iPhone from the PC. You can now launch the Happy Chick emulator for the home screen. One thing to note here is that you may need to sideload the application as it crashes every week. This is due to the certificate being revoked by the Apple for the untrusted developer apps. So, that is one disadvantage that you may have to deal with when it comes to installing untrusted apps using the Cydia Impactor.